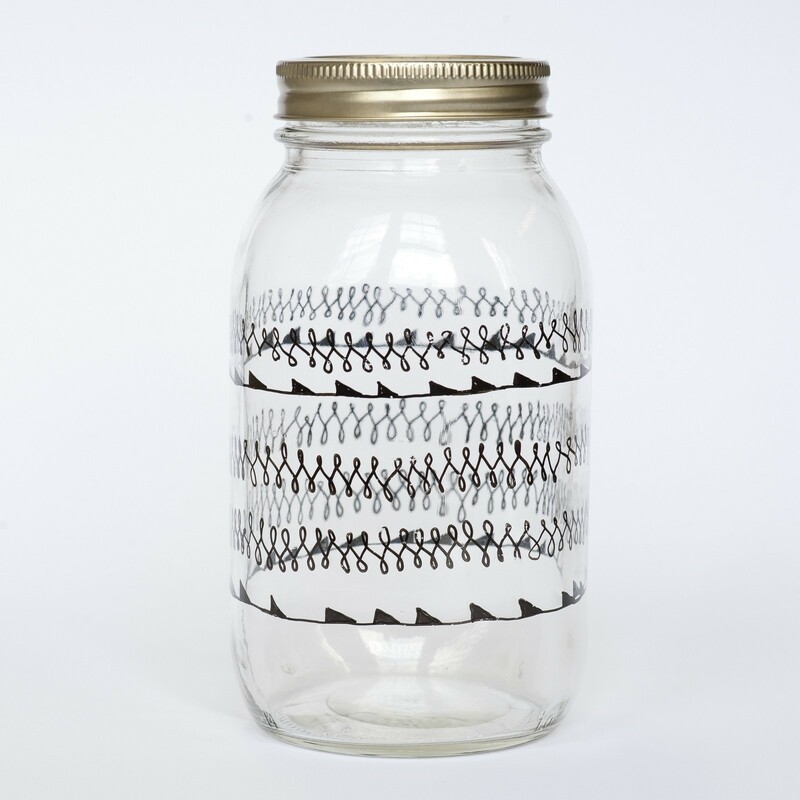 Perfect for storing office supplies, bathroom essentials, moonshine, whatever... I mean, who doesn't like fancy jars? Posted by Cicada • Published 11th February 2013 • See Cicada's 8 projects » © 2019 Abbey Hendrickson / Cicada Books · Reproduced with permission. 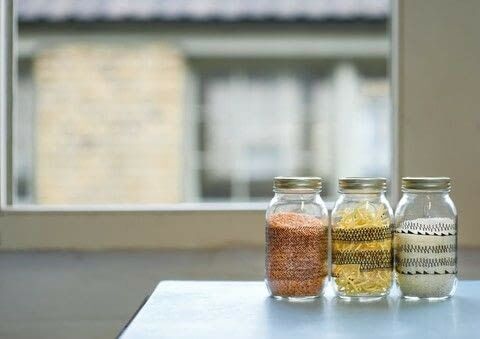 Mason jars have a two-layer lid that comes apart so that you can put in your own label. If you can’t get hold of one, a normal jar will do. Wash the jar with dishsoap and water to degrease it, and let it dry. Try not to touch it afterwards with dirty fingers. To make a straight line, secure a rubber band around the jar and trace along the band with the paint pen. Carefully doodle on the jar and allow the paint to dry. Unscrew the lid and use a pencil to trace the lid on paper. 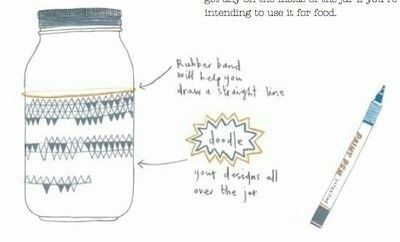 Decorate this lid insert in a pattern that matches your jar pattern. Cut the circle from the paper, sandwich in the lid, and screw the top back on. *** Note: Marker is not foodsafe so don’t get any on the inside of the jar if you’re intending to use it for food.